Members of the Eden Labour Forum at their meeting this week (back from left): Edmund Petersen, Movie Jansen, Dexter Brinkhuis, Christy Lombaard, Andre Claassen (Dolfie). Front (from left): Linda Brown, Matilda Kleinbooi and Friedl Baker. Absent from photo: Antonio Jones and Terry Olkers. 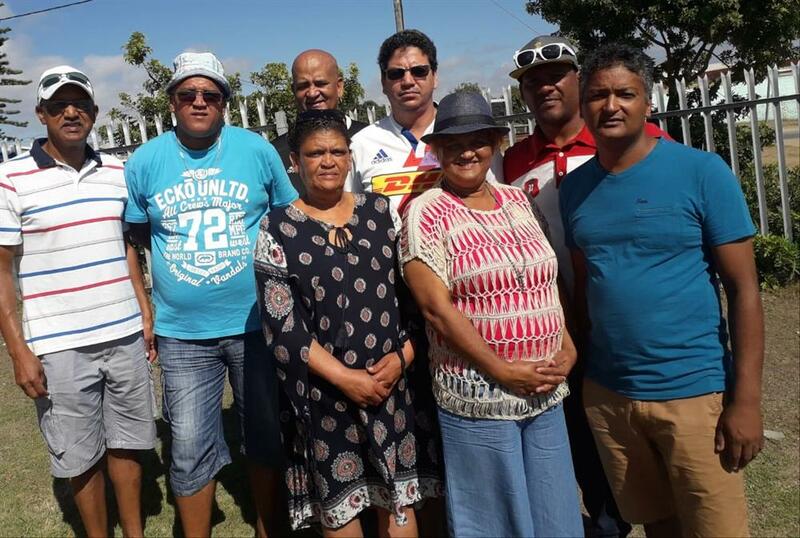 SOUTHERN CAPE NEWS - The Eden Labour Forum was started in 2017 by local employees in the oil and gas industry. It is a registered non-profit organisation and is listed on the databases of major stakeholders in the Eden district, such as PetroSA. It has since included many other trades, outside the oil and gas industry to cover various other disciplines. The Eden Labour Forum is open to all races, religions, non-political and does not discriminate against and sexual orientation. The forum engages with industry to point out irregularities and marginalisation of the Eden community, during short- and long-term projects. All towns within the borders of the Eden district are being taken care of by the forum. f) To provide assistance and advice members in labour disputes and CCMA cases where possible. It has recently come to the attention of Eden Labour Forum, that there are other forums operating in Mossel Bay and other surrounding towns. Eden Labour Forum is not convinced that these forums are registered entities and are therefore not aware of whom they are representative of. Eden Labour Forum stands for "Eden district residents first" and should there be no other resources available, companies can source disciplines from outside the Eden district boundaries. With the recent shutdown at PetroSA, it was found that contractors from outside the Western Cape were recruiting employees from provinces as far as Kwazulu Natal. This has caused loads of frustration amongst workers from the Eden district. This is a scenario which Eden Labour Forum wants to avoid for any future projects in the district. The forum is aware of the current work being done by Total Oil off-shore Mossel Bay. It has made the unhappiness of the locals known to their human resources department. For this project, the company in charge of operations, Haliburton, has brought workers from Norway while we have local disciplines with many years of drilling operations experience. This situation is closely being monitored. The forum also awaits further information with regards the widely discussed chemical plant, planned to be erected adjacent to the PetroSA Refinery. Experienced Eden district local workforce and women are excited with the hope of getting employment at this project during its construction phase and when the project goes into operation. Independent and reliable sources have confirmed that maintenance and fabrication of new storage tanks and equipment at PetroSA is currently pending. Further information is awaited and Eden Labour Forum will update of any further development regarding this and any other projects. Updates will be posted on Eden Labour Forum Facebook page. The community, contractors and stakeholders are encouraged to engage with forum to ensure or discuss inclusivity. People are also requested to send their CVs to edenlabourforum@yahoo.com in order to be added onto the database. Should you wish to get in touch with Eden Labour Forum, contact Linda Brown (063 3755 961) or Terry Olkers (082 493 5531).